Oxford Phab has been meeting at Wesley Memorial Church almost since it started in 1981. Wesley Memorial Church is located in the heart of Oxford, on New Inn Hall Street, at the end of St Michaels Street, Postcode OX1 2DH. If you have a Blue Badge then there is parking on New Inn Hall Street. 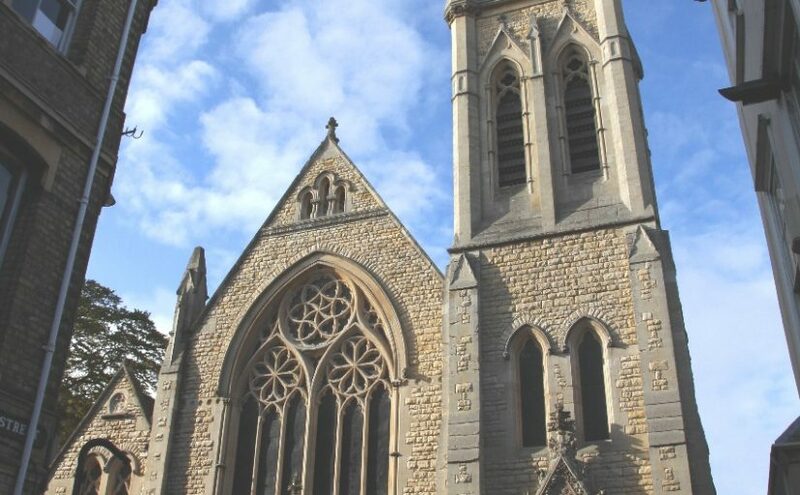 We are very grateful to the church and its members for all the support they have given through the years, and which they continue to give, for example through the Open Doors project which aims, amongst other things, to make the buildings more accessible.